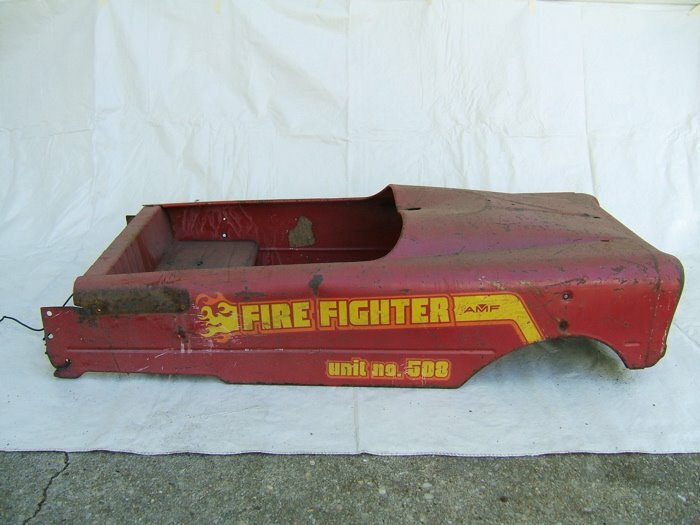 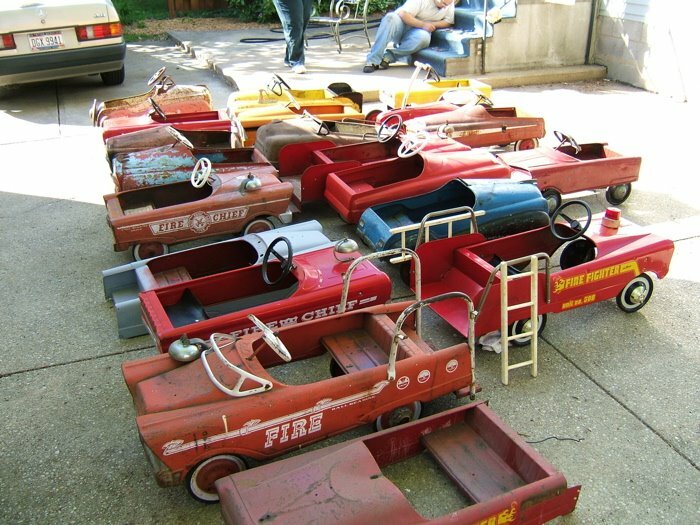 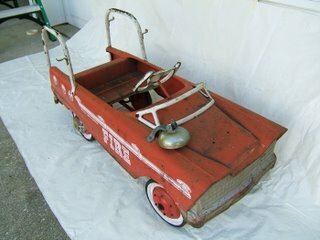 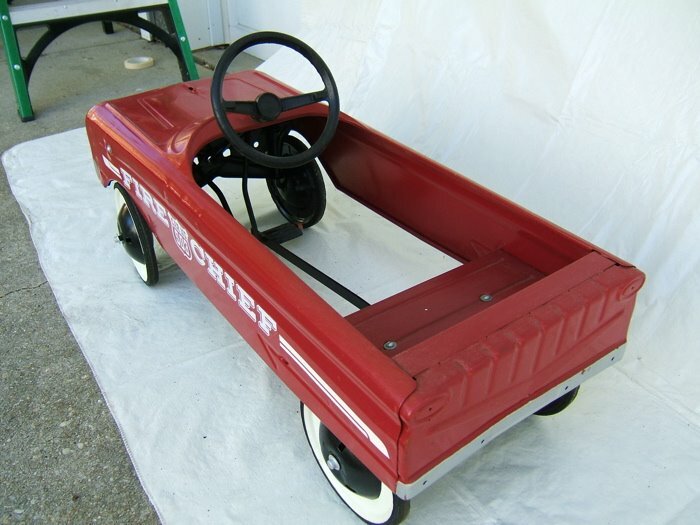 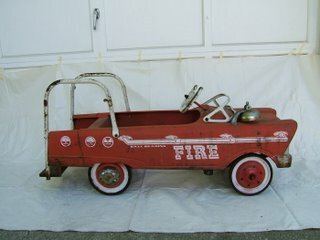 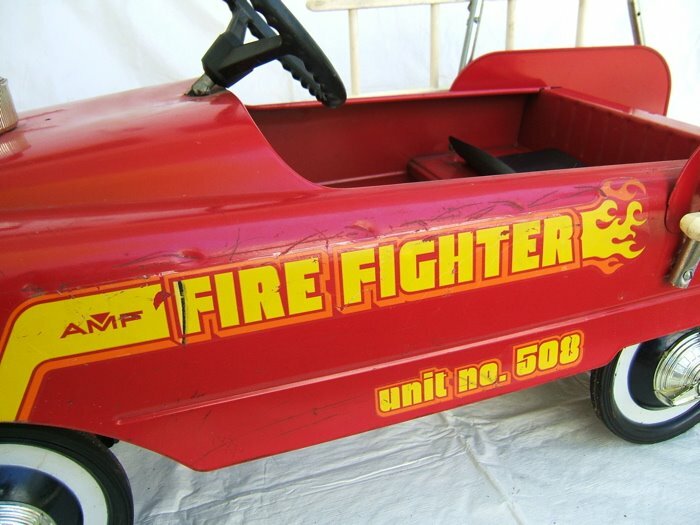 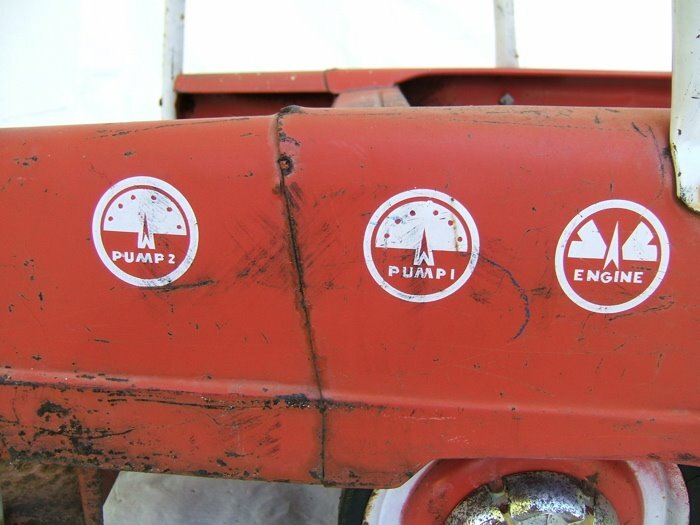 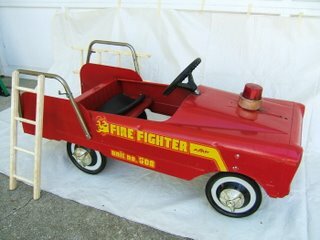 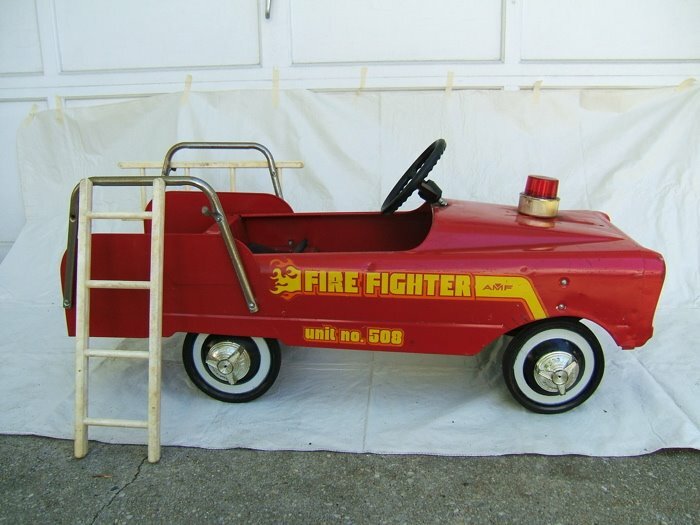 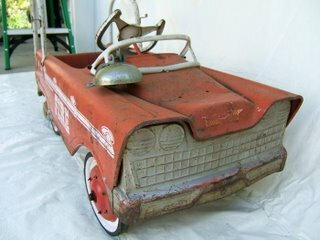 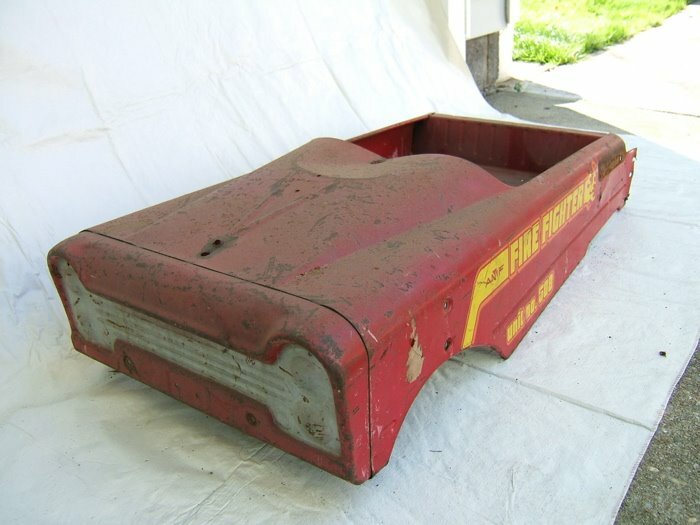 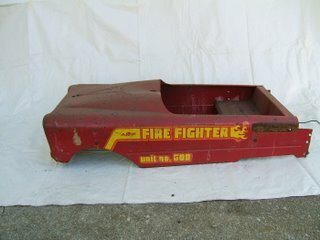 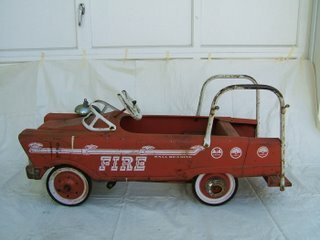 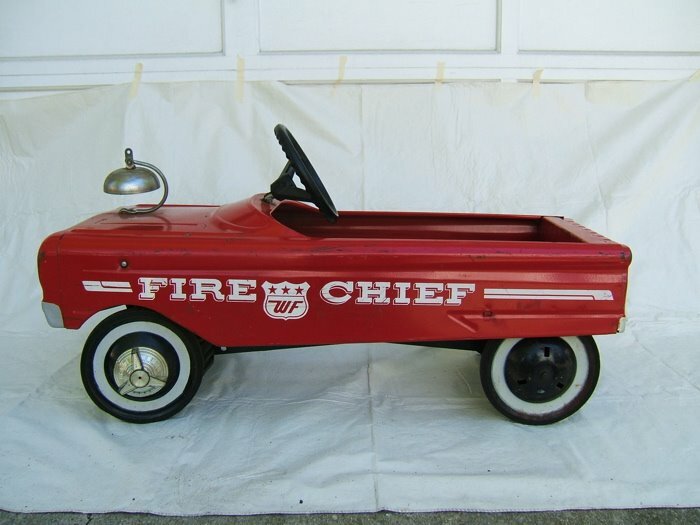 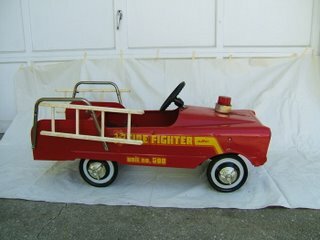 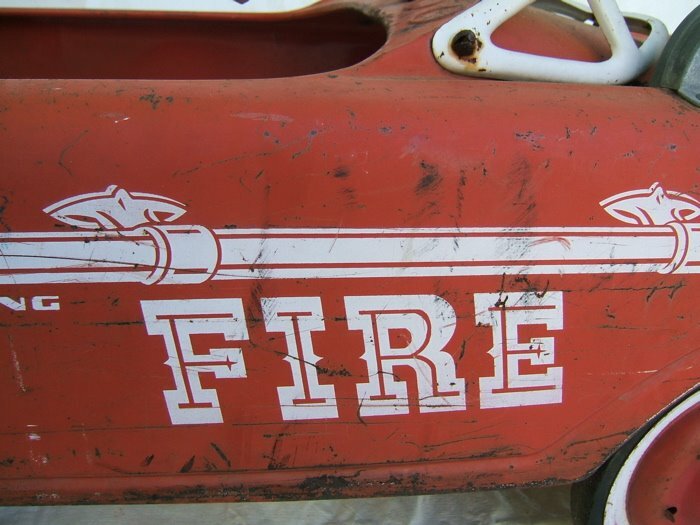 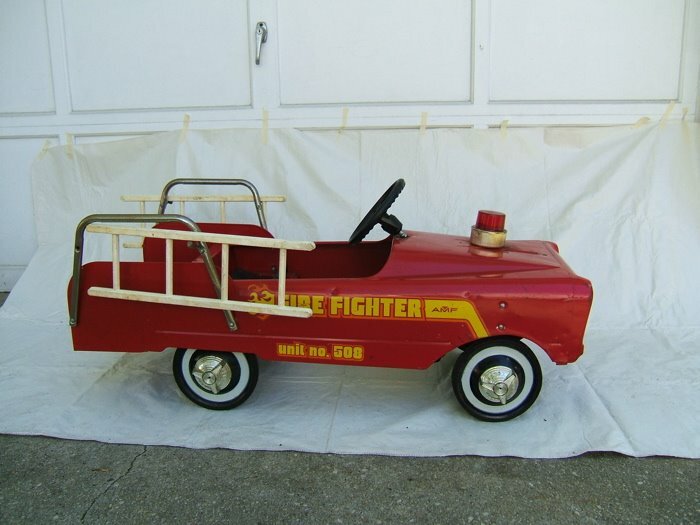 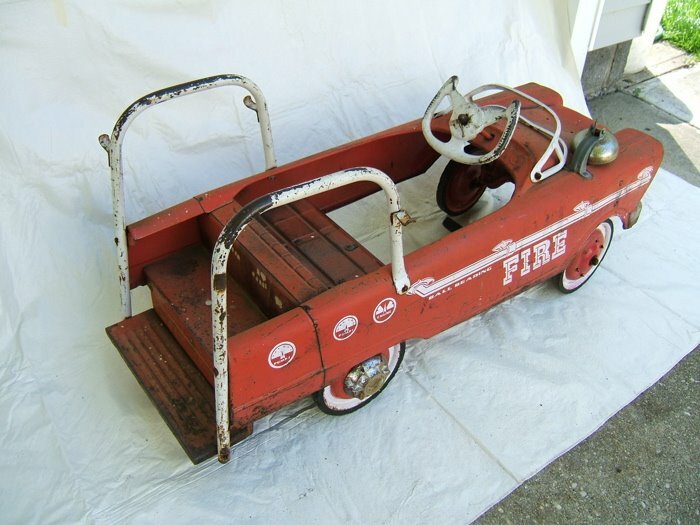 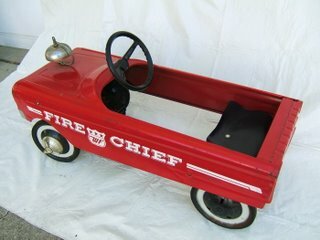 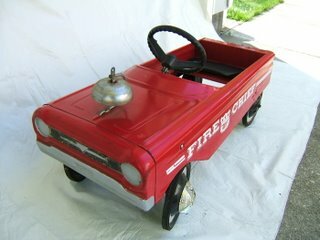 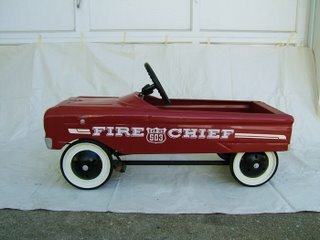 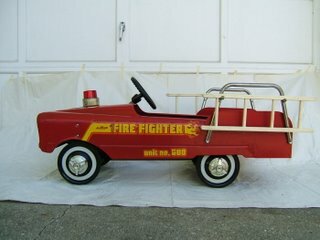 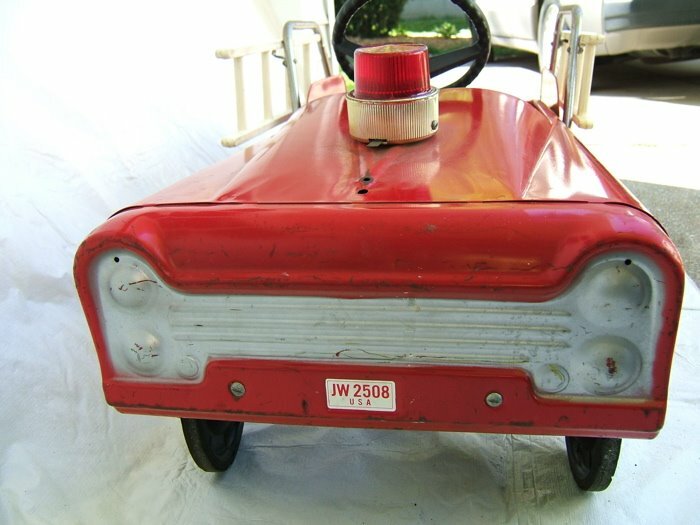 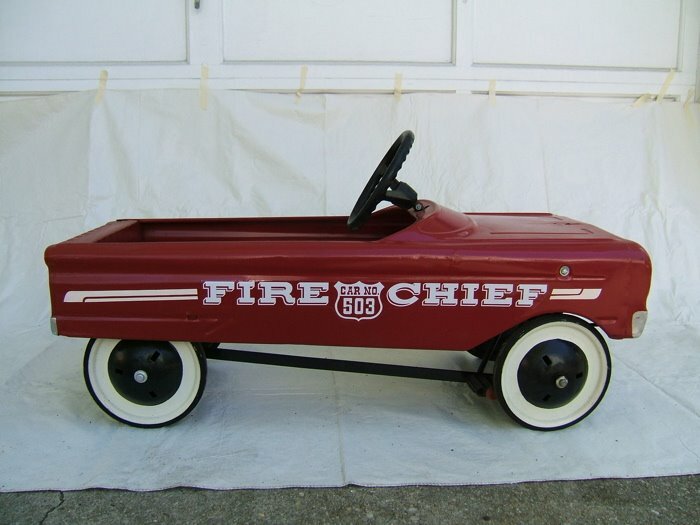 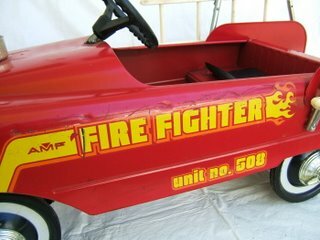 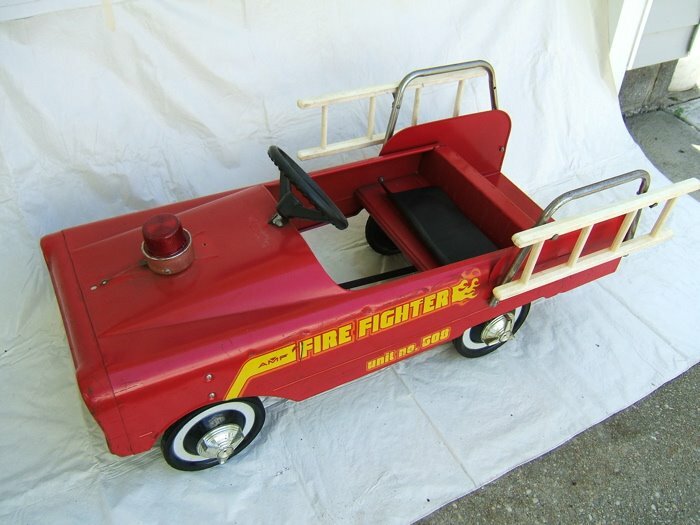 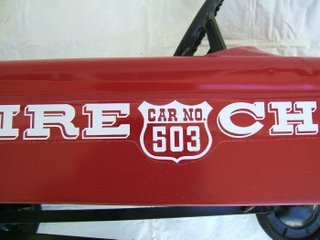 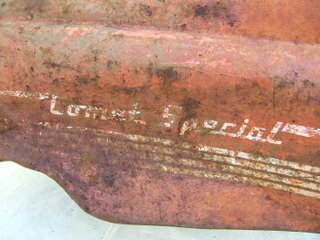 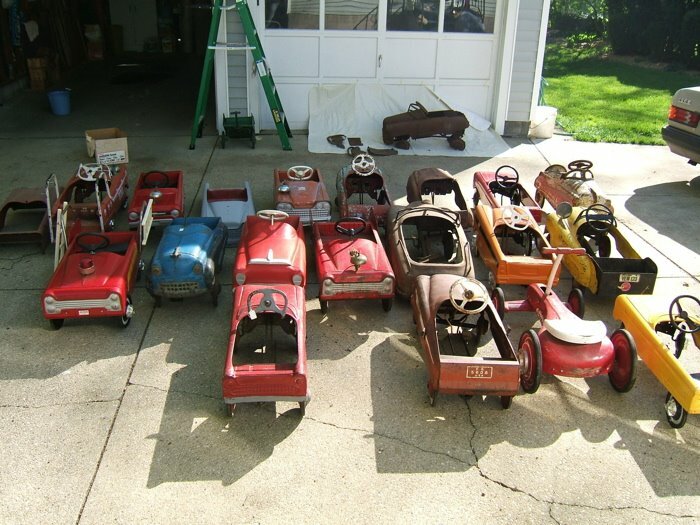 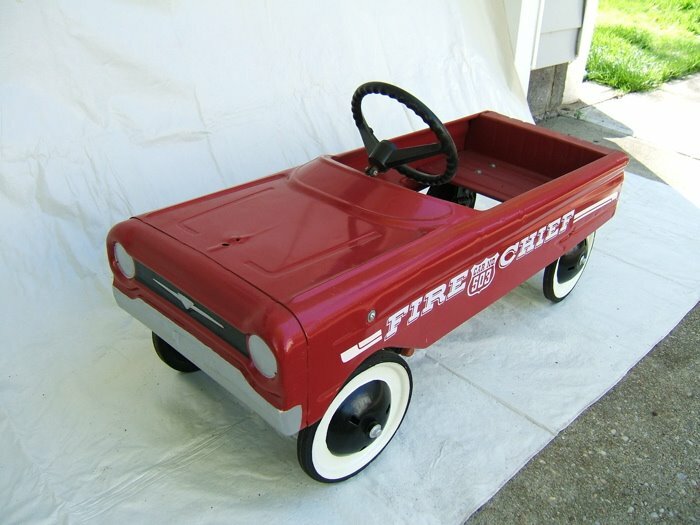 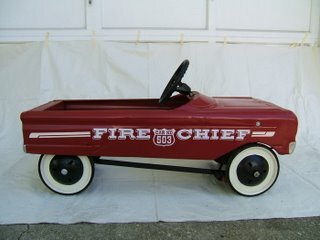 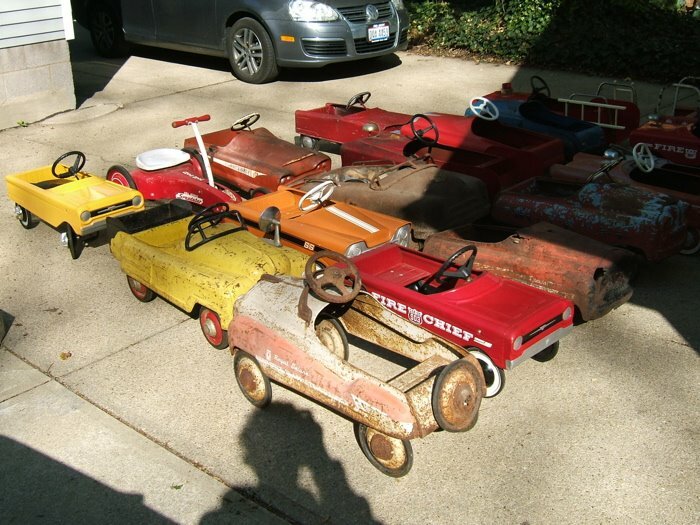 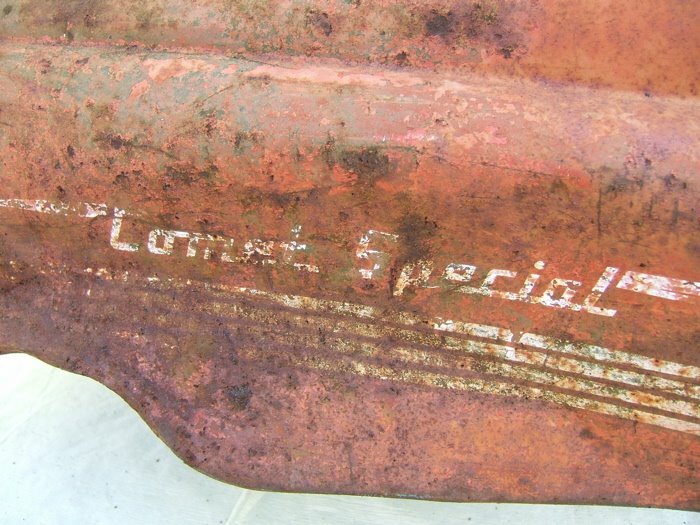 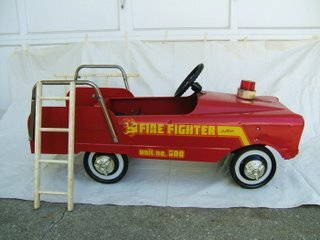 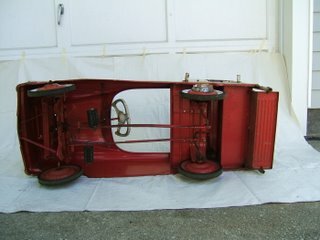 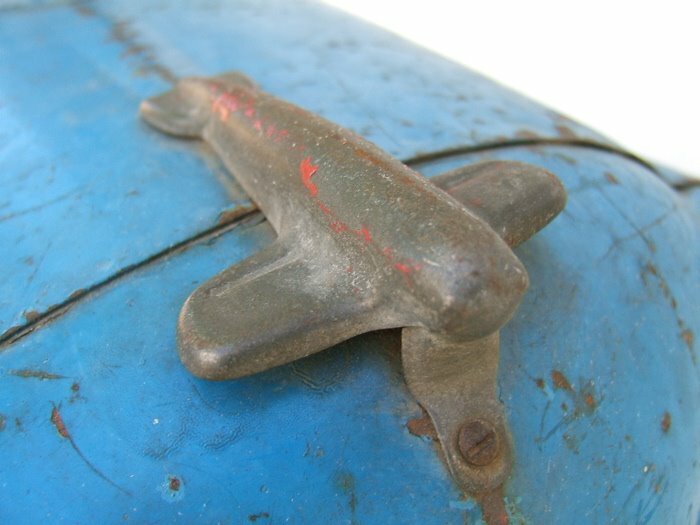 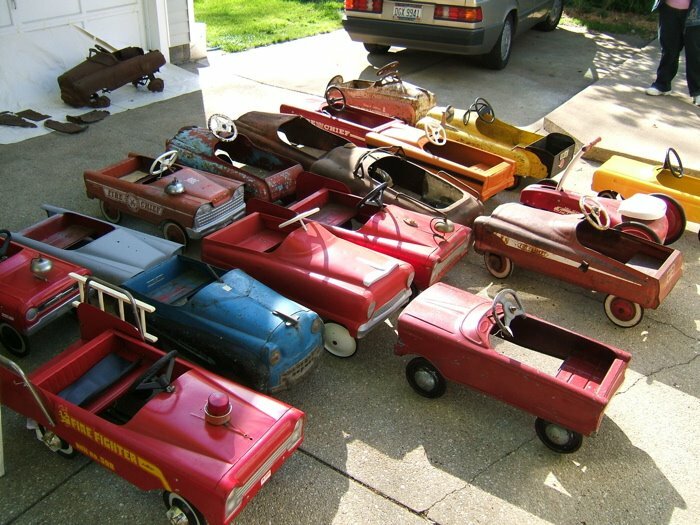 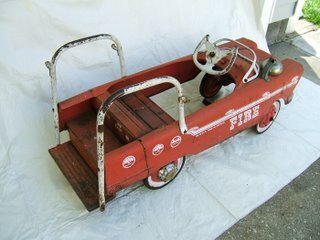 1960's Fire Chief in good condition and missing all but one hubcap. 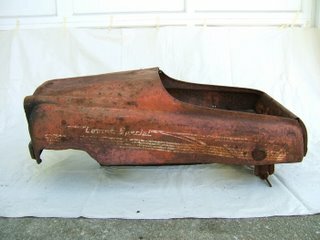 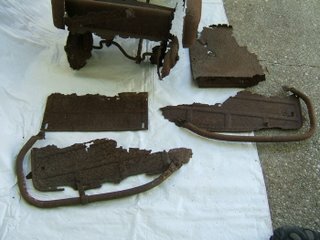 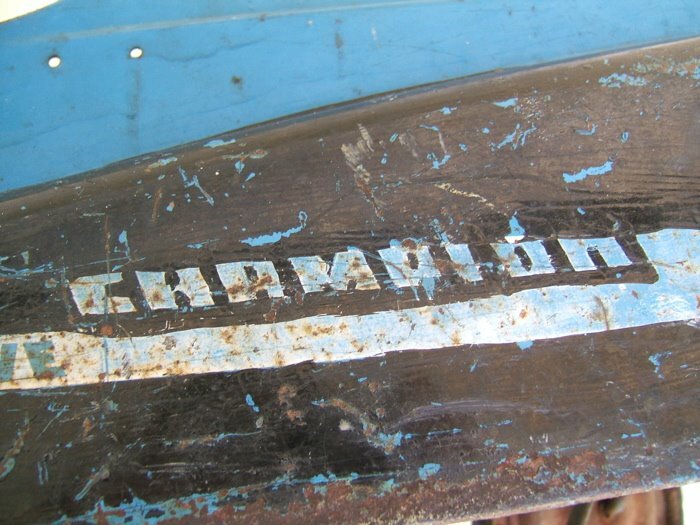 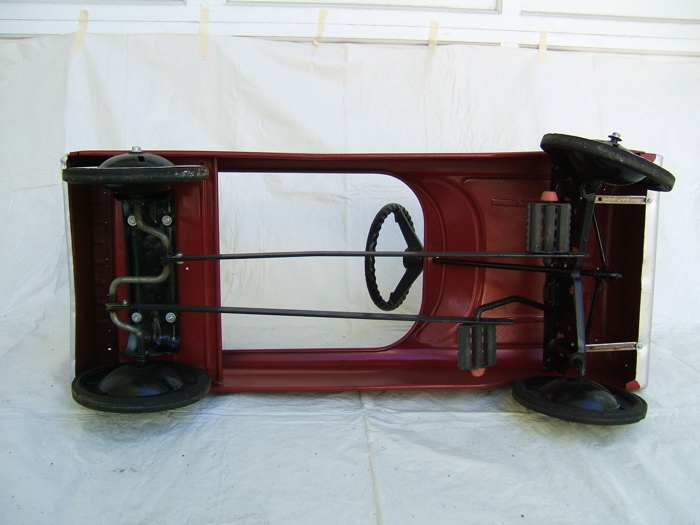 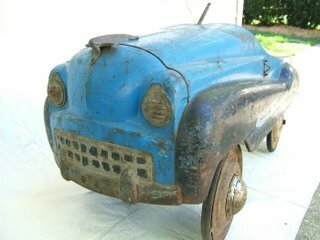 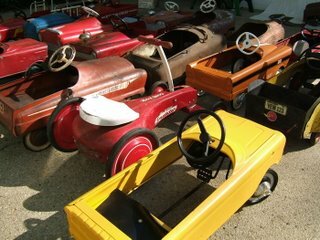 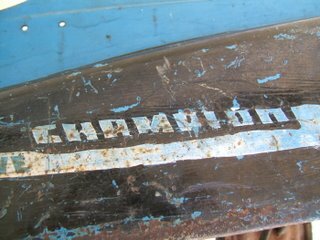 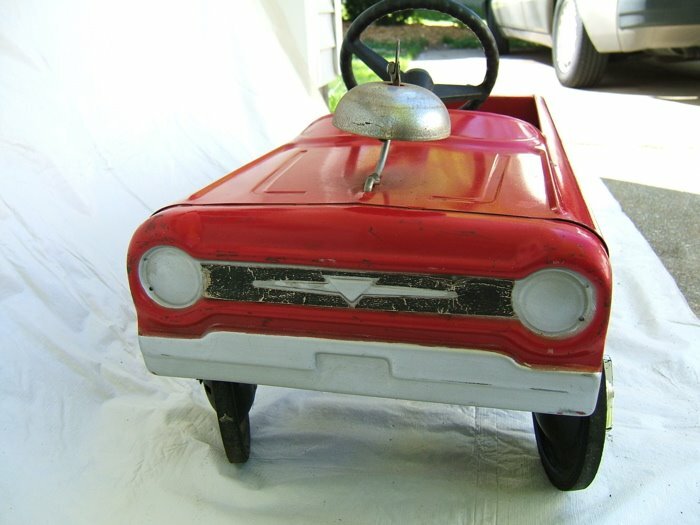 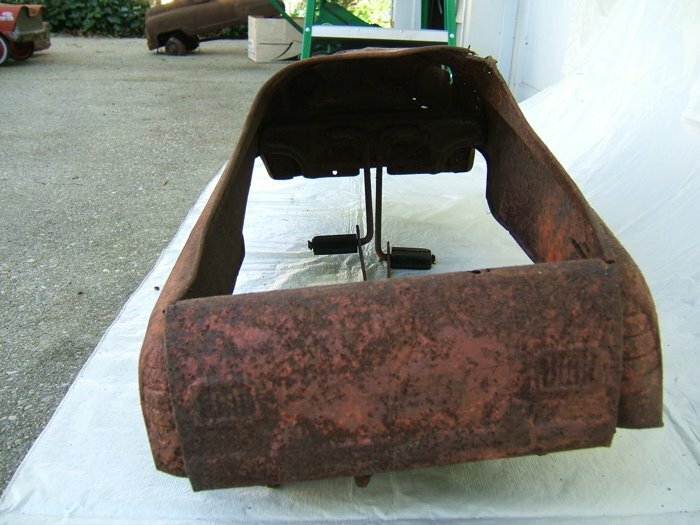 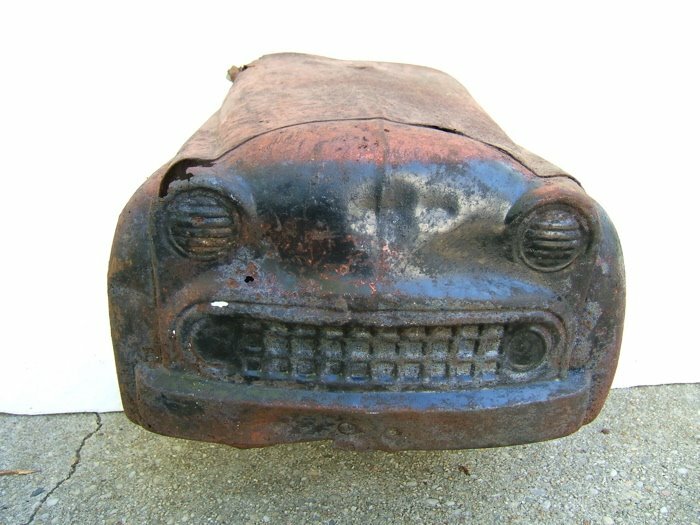 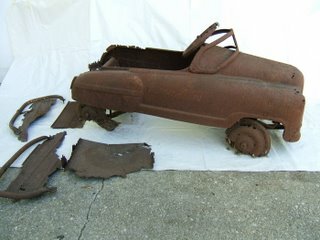 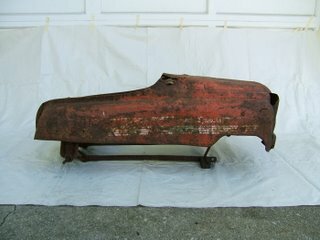 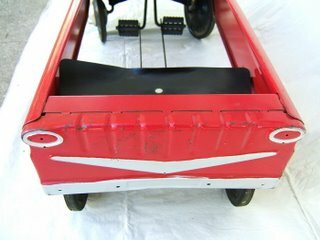 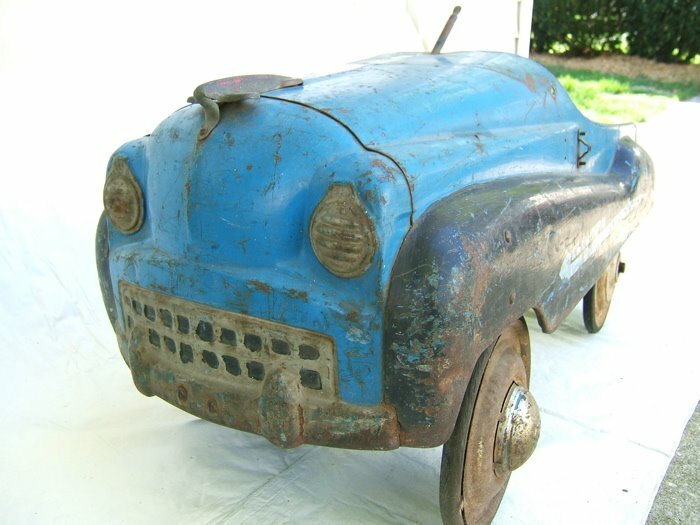 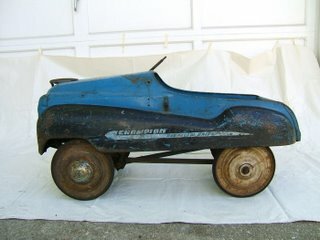 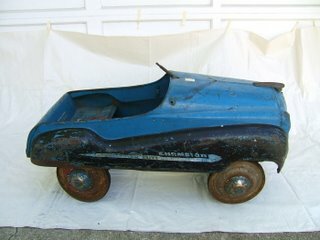 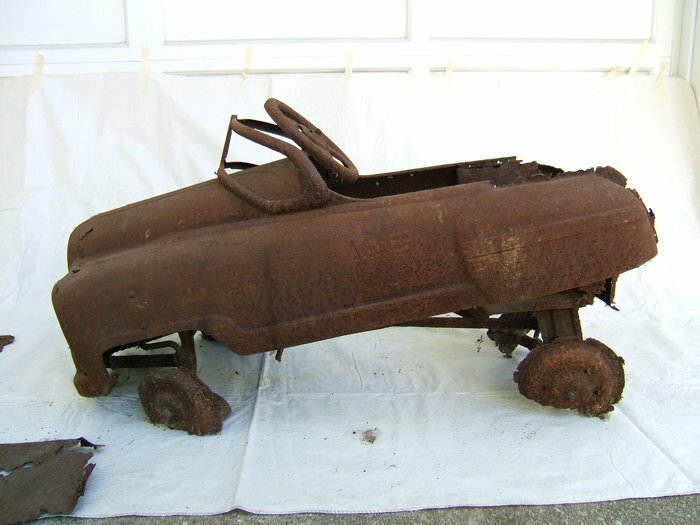 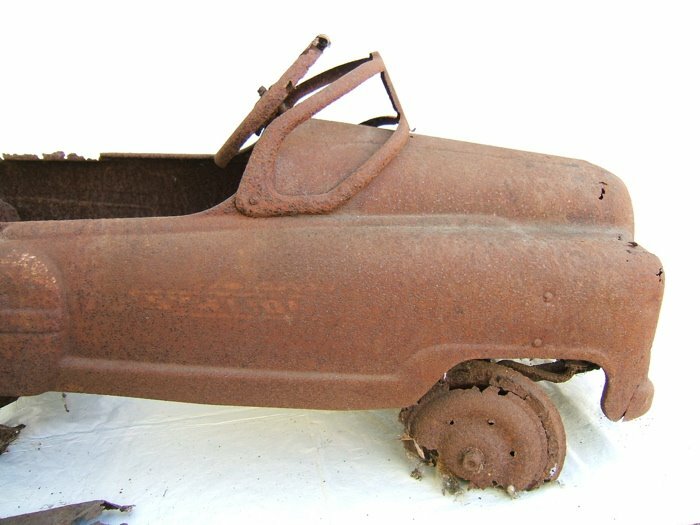 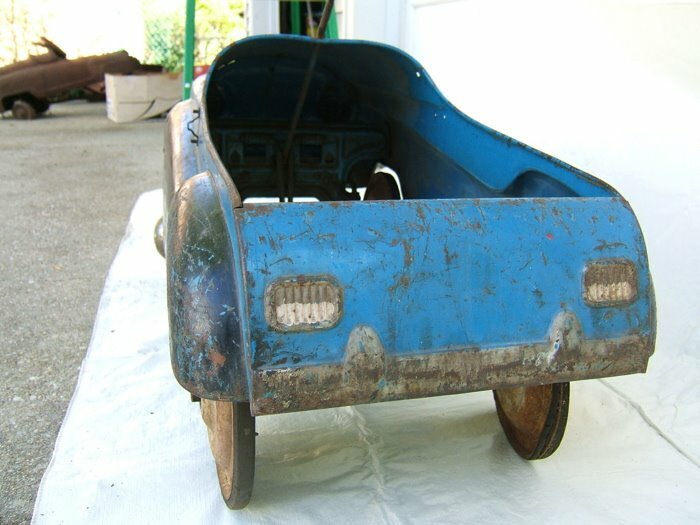 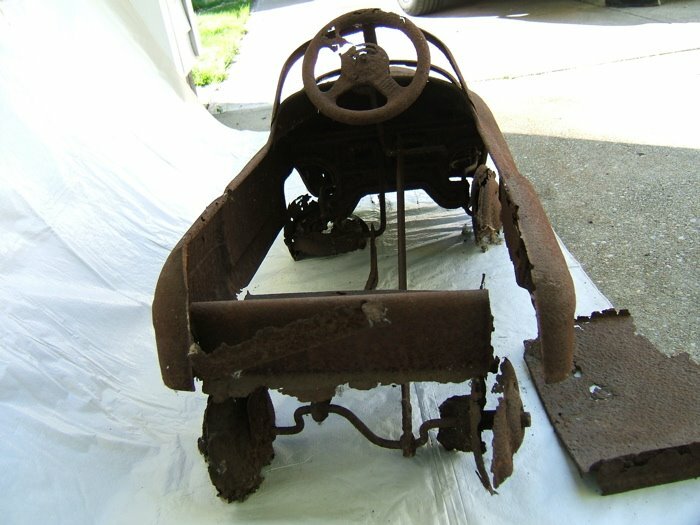 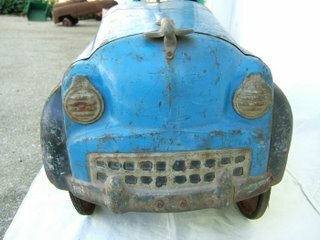 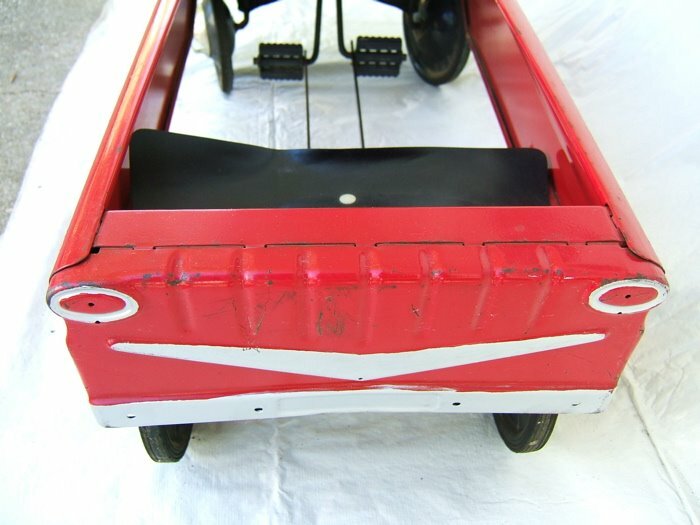 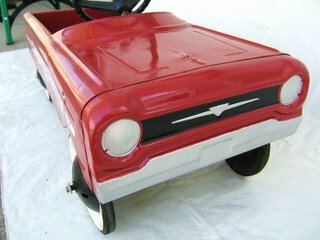 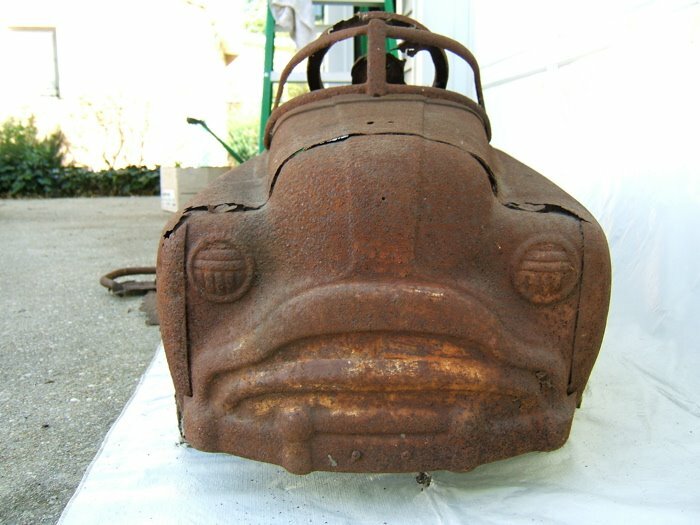 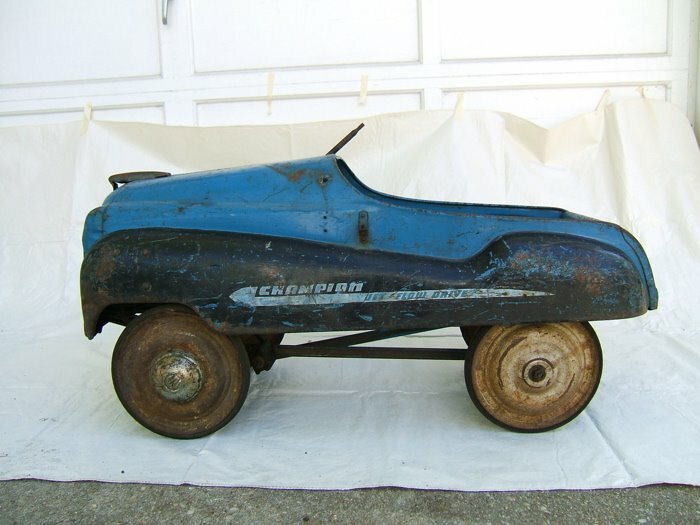 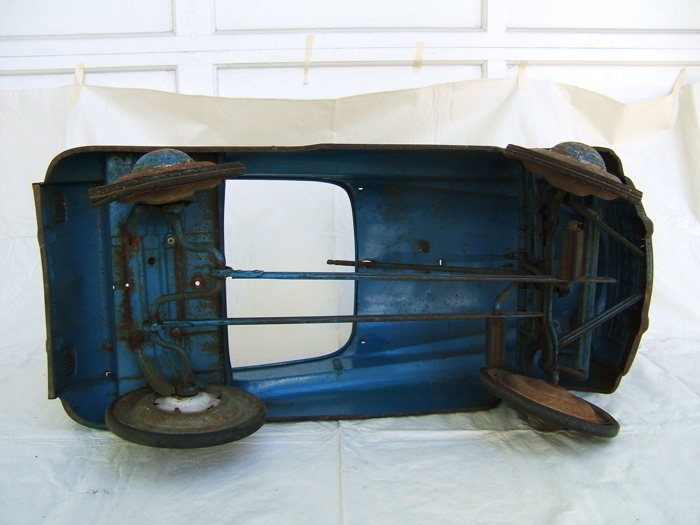 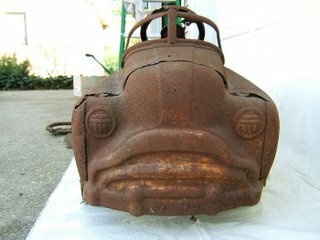 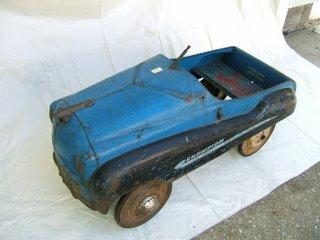 1950's blue Murray Champion with steering and windshield missing. Rear end is loose and missing hub caps. Brilliant graphics on the side and hood ornament.